5 Little Angels: P&G Bag Kasih is Back Where You Could Grab As Much As Possible in 3 minutes ! 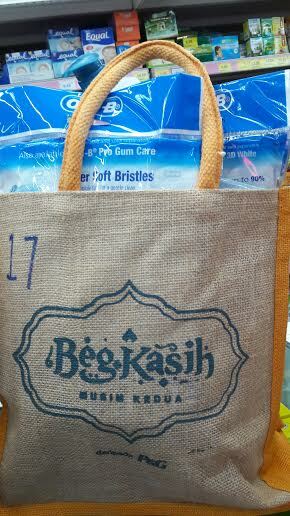 P&G Bag Kasih is Back Where You Could Grab As Much As Possible in 3 minutes ! This campaign is limited to 50 participants per day and will be divided into 2 groups. The numbers will be given out at 1 p.m. and the contest will start at 2 p.m. Some came as early as 8 a.m. but when I reached at 10.30 a.m., I am at no. 17. All the 50 numbers only finish given out around 12.30 p.m. 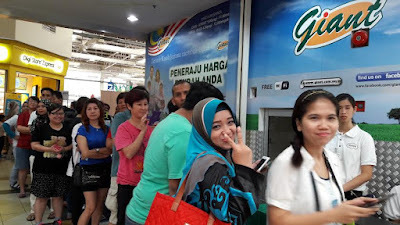 Cannot hide any of the items and if they found out that when they do a round up before the contest, the items are not in the shelve and when the payment made, the products are in your bag. Ensure that no one help you out in taking the items and items should take from the shelves instead from the basket or trolley. 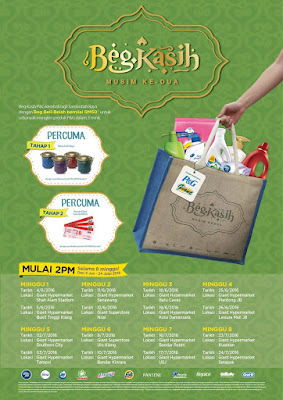 Must return to the finish line within 3 minutes with the 8 compulsory items. To succeed in taking the items, I think I should share some tips to all of you. Remember to take all 8 of the compulsory items. Do some survey first on the locations of the items before the contest start and plan your strategy on which products that you will take first. 3 minutes times is a bit short but when you have all the locations in your minds, it is easier for you to grab it later. 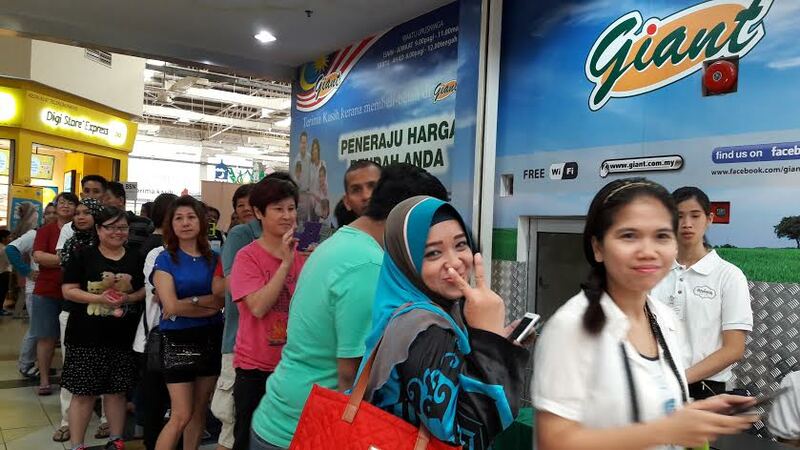 P&G staff will give few reminders on the times available. Once she had counted last 27 seconds, it is better for you to run back to the finish line or else you could be disqualified when the line is closed. At my group, 2 participants had been disqualified since they unable to return on times. Remember you cannot be too greedy in playing this game or else, you will getting nothing in return. Last year I managed to grab a total of RM711.55 in just 3 minutes. You can read up my previous post HERE. This year I only able to grab a total of RM400++ but consider not bad coz' I had more range of free products and I only need to pay RM50. 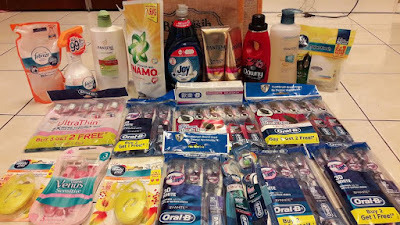 All the items here could last me for 1 year of savings. Ha ha ha... Good luck to all my readers here that intended to join this campaign and remember some of my tips in order to succeed bringing all the items that you had wanted. 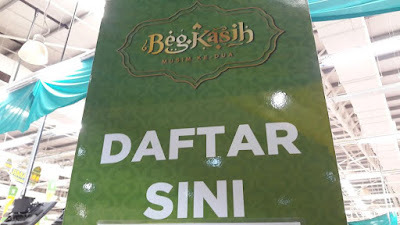 I looking forward for this event. This round I will grab my space. God bless u, Jane Chua :D & thx 4 the tips! Ya ke ? KL limit cannot over 60 years old kerana mereka takut merbahaya nanti. 1. Got hiding. Suddenly no expensive gillete. Rm80. Alamat sama tak leh join #begKasih. 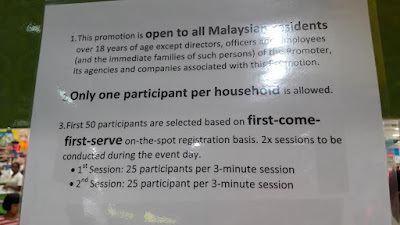 To be REALLY fair, 1 person 1 beg kasih even stay in 1 house as long as dif address on ic. T n c, mah. So no cheated. Only take advantage. Lol!